In honor of Dr. Seuss' birthday, March 2, I have a special announcement to make. I am building the Obseussed Little Free Library and plan to open it this spring in front of our house. I've been planning to build one for the past five years and finally have my plaque so I can get started. 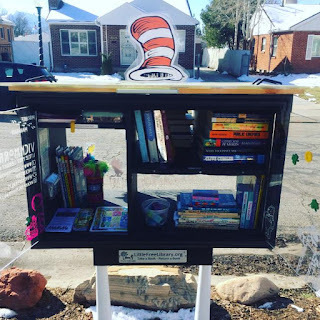 This blog will start to shift focus a little as we will start to highlight our journey building a Little Free Library and becoming librarians in our neighborhood. 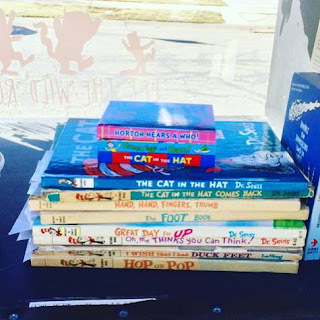 Of course our library will be designed with a nod to Dr. Seuss. I'll be filling it with a variety of children's books. Some of you may wonder what a Little Free Library is. It was started as a community book exchange and became a non-profit organization helping other communities organize and run book exchanges (libraries). 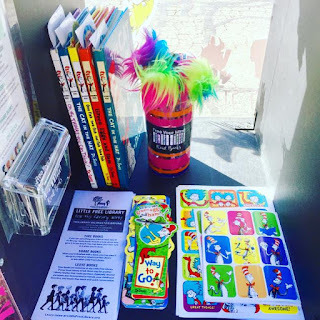 The book exchange idea is to "Take a book, return a book." Individuals may decide to build a small library holding 20-100 books to place in their front yard, community park, garden or publicly accessed area with permission. 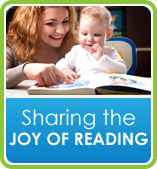 The goal is to promote literacy and create places to connect communities of book lovers. 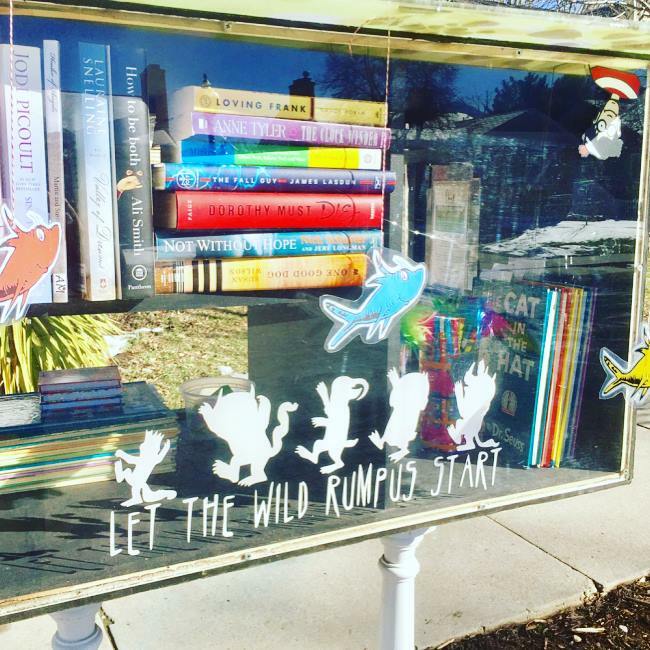 We have had several little free libraries popping up around the area. One of my favorite libraries in our neighborhood that we frequent is the Vickmorr (Instagram @vickmorr). My kids love to stop by and trade books. They always have fun themed books for special holidays or author celebrations. They added a lot of new books, decor and more to celebrate Dr. Seuss' birthday today. 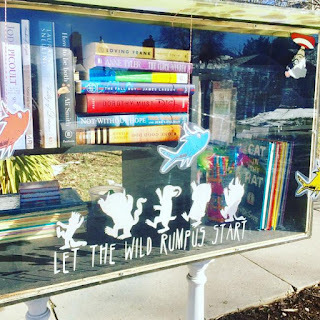 Another one that I love to follow on Instagram is Sir Owen, the little free library. (Instagram @sirowenlfl). This is also in our town. Isn't it gorgeous! They have a little bench next to it and set up a Christmas tree for the holiday season. Their posts are very creative and the way they interact with their patrons is inspiring. I will continue to blog about children's books, activities and crafts but I will also venture into young adult books as my oldest child just became a teenager recently. We'll keep you posted on our progress for our obSEUSSed Little Free Library. 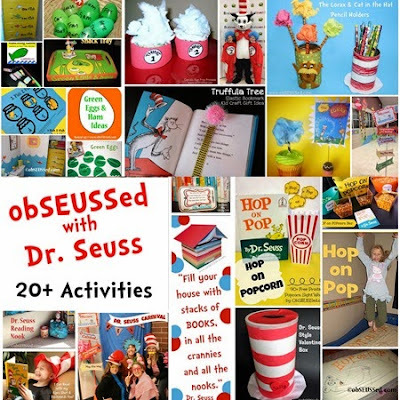 If you're looking for some additional fun ways to celebrate Dr. Seuss' birthday, check out 20 of my favorite obSEUSSed with Dr. Seuss activities, crafts, snacks and party ideas here. Plus I’ve collected more than 1,500 ideas on several Pinterest boards. 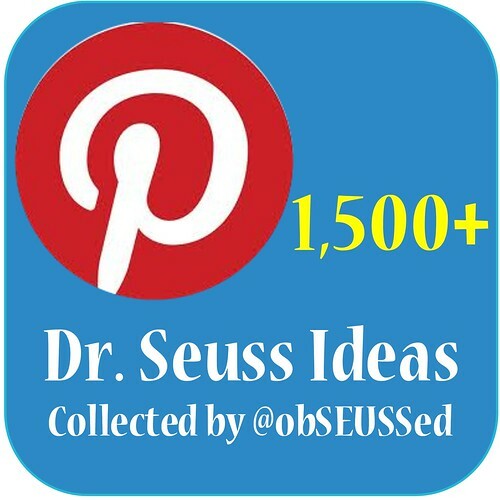 Check out boards for Dr. Seuss parties, classrooms, crafts, Grinchmas, activities and more. 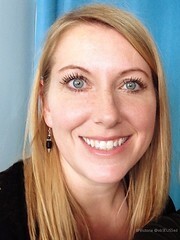 Visit Victoria Saley @obSEUSSed's profile on Pinterest. Read with your children today. That is the most important thing.